From TALAIA we want to let you know that we are looking to expand our partner network. We want to grow with companies specialized in Project Management and that want to complement their offer. Since we have a new expansion and positioning program in which, if your company is focused on project management, you might be interested. We are backed by our experience in the sale and implementation of PPM solutions. For this 2019 we have launched an international expansion project, we look for companies that want to grow with us. Yes you are a company specialized in Consulting or training specialized in Project Management and you want to get new clients join us. 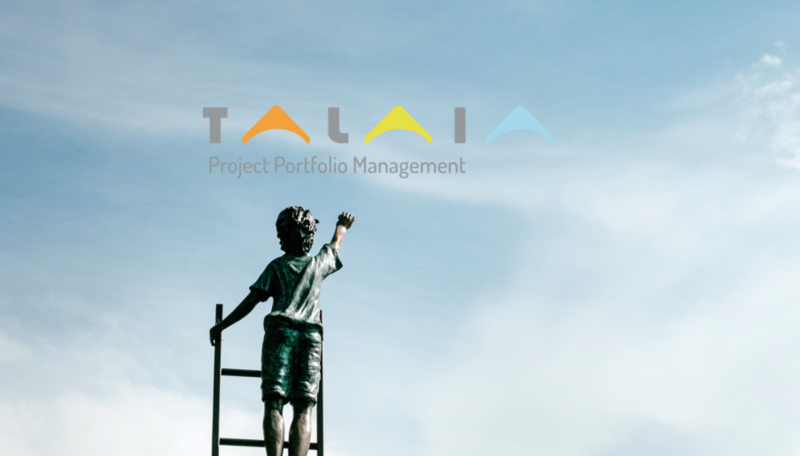 Add TALAIA and expand your range of solutions, one of the best tools currently offered by the market in project portfolio management. Dispose of all the necessary information in a single tool, which allows you to manage the project portfolio by unifying the information with Talaia, along with the good practices that its use entails, you will get quick access to vital information for a correct management of your portfolio of projects. Forget spreadsheets and tedious reports. It is fully integrated with your tools. Know the status of each project at any time. Make decisions based on real information. The same information point with a common language. It is integrated and complemented with other tools. We take care of the installation, configuration and deployment of Talaia, initial load of projects, maintenance and support necessary to work in optimal conditions. We also train you so you can get the most out of it. Talaia is also a great ally in the processes of digital transformation, helping to manage and control the process. It is a flexible software, adaptable to the singularities that your projects or management processes may have. We also offer the possibility of complementing it with other tools, thus building a global tool.